ONCHAN, Isle of Man – March 27, 2017 – The 11th anniversary of the renowned Sunday Million is coming up on April 2, and PokerStars, an Amaya Inc. (Nasdaq: AYA; TSX: AYA) brand, is celebrating with a massive $10 million guaranteed prize pool, which includes a $1 million payday for whoever takes the crown. 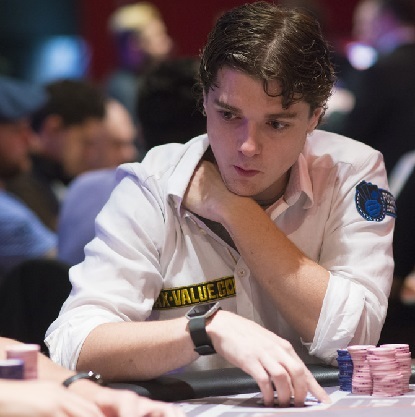 UK player and poker coach Rob ‘robtinnion’ Tinnion, who won two Sunday Million titles within six months, is aiming to become the only three-time Sunday Million champ – and capture the moment on Twitch. Players can join him at the tables via a number of routes, including four deadline satellites that award more than 1,700 seats from buy-ins ranging between $11 and $37. THIRD TIME’S ALSO A CHARM? BetStars will be offering odds on whether PokerStars will crown Rob Tinnion its first ever triple Sunday Million winner at the weekend. Players can also bet on whether there will be a different triple winner, another double title winner and on which Team PokerStars Pro member will go furthest in the tournament in the Team Pro Last Longer market. Team Pros expected to be participating so far include Igor Kurganov, Fatima Moreira de Melo and Leo Fernandez. BetStars expects Tinnion to be a popular choice on the market due to his big tournament track record – further evidenced by his runner up finish in one of PokerStars’ flagship series, the 2016 SCOOP Event 51 High for $314,000. Players wanting to place a bet on the Sunday Million result should head to BetStars.com and look for poker markets in the menu. It’s hard to imagine what his family will think if he takes it down for a third time on April 2. On February 27, ‘TheFan83’ won his first Sunday Million title after 10 years of trying, and captured the excitement of the win live on Twitch. He said the win was “really special” and takes him significantly closer to his goal of achieving a $3 million bankroll. ‘TheFan83’ won $122,000 – so imagine how it will feel to win close to 10 times that – which will happen this Sunday at PokerStars. The PokerStars Sunday Million 11th Anniversary kicks off on April 2 at 14:00 ET with late registration open for the first three hours. There are a variety of different ways to secure a seat, catering to a wide range of buy-in and game preferences. Special $5 Spin & Go qualifiers awarding seats to the tournament are running online at PokerStars now, as well as regular qualifying satellites that start from $1. And there are, of course, those four deadline satellites with buy-ins from as little as $11 running on April 2 which guarantee more than 1,700 seats. Players can buy in directly for $215. For more information on all routes to the Sunday Million 11th Anniversary, visit the PokerStars website.